W ELCOME and thanks for visiting my website! My academic activities center on the history of mathematics, so included here is information related to my work in this area. My research interests in the history of mathematics include ancient Greece and medieval Islam, as well as the history of such scientific instruments as the sundial and the astrolabe. Sundials are a particular interest of mine so they have their own section here. I retired from the Department of Mathematics at SFU in 2006 and am no longer taking students. The courses that I taught there include calculus, geometry, linear algebra, history of mathematics, and mathematics in science and civilization. J.L. Berggren. Berlin, Heidelberg, New York: Springer, 2016. This book, due to be published in 2017, contains considerable additional material on each of the topics covered in the first edition. 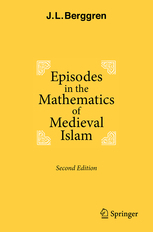 It also contains a new chapter on number theory, magic squares and permutations and combinations in medieval Islam. The coverage of mathematics in North Africa and medieval Spain has been greatly expanded over that in the first edition. The book is illustrated with diagrams and color plates. Editor: Victor J. Katz; Contributors: Menso Folkerts, Barnabas Hughes, Roi Wagner & J.L. Berggren. Princeton University Press, 2016. In some ways a complement to the Sourcebook listed below, this work makes available translations of texts dealing with arithmetic, algebra, geometry, trigonometry and other parts of mathematics from western Christian, Jewish and Muslim societies and shows how important mathematics developed in, and passed among, these three cultures. J.L. Berggren. Section "Mathematics in Medieval Islam" in The Mathematics of Egypt, Mesopotamia, China, India and Islam: A Sourcebook. (V. Katz, ed.) Princeton, NJ: Princeton University Press, 2007, pp. 515 - 675. J.C. Evans and J.L. Berggren. Princeton University Press, 2006. Geminos’s Introduction to the Phenomena is a textbook written for the beginning student of astronomy by a talented Greek writer in the first century BC. Among the topics treated are the zodiac, the constellations, the celestial sphere, the succession of lunar phases, the length of the lunar month, eclipses and the motions of the five planets visible to the naked eye. This first English translation and study of Geminos’s work is illustrated with numerous diagrams and photographs related to the topics that Geminos discusses. J.L. 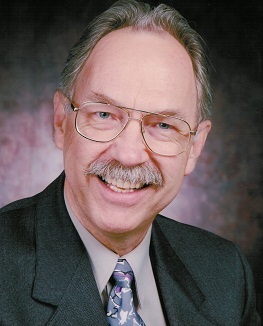 Berggren. Berlin, Heidelberg, New York: Springer, 1986 (softcover edition 2003). A revised version of this work has been published in German, in 2011, as Mathematik im mittelalterlichen Islam (Springer). This book presents specific examples of mathematics translated from Arabic texts in their historical context. The reader will learn how mathematicians and astronomers in the medieval Islamic world transformed the arithmetic, algebra and trigonometry of the ancient world to create much of the mathematics taught in schools today. The reader will also see some beautiful geometric results and learn of how the first analogue computer – the astrolabe – was used to solve important problems in astronomy. The book is illustrated with numerous diagrams and photographs. J.L. Berggren and B.R. Goldstein, Editors. Acta Historica Scientiarum Naturalium et Medicinalium. Vol. 39. Copenhagen: University Library, 1987. J.L. Berggren and R.S.D. Thomas. Sources and Studies in Hellenistic Exact Sciences New York: Garland Publishing, 1996. Reprinted in 2006 in a softcover edition by the American Mathematical Society and the London Mathematical Society as Vol. 29 in the series History of Mathematics: Sources. Most are unaware that Euclid, famous for his Geometry, also wrote what is arguably the first book on mathematical astronomy – ironically dealing with the non-euclidean geometry of circles on the sphere. With no numerical computations or formulas, and using only the geometry of circles on the sphere, he made a comparative study of the length of daylight for different days at different places on the earth’s surface. 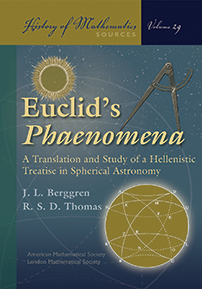 A historical and mathematical commentary by the authors makes it possible to understand Euclid’s arguments without any prior knowledge of astronomy or advanced mathematics. This is the first English translation of this historic work. Ptolemy’s Geography is the only work on cartography to have survived from the ancient world. This book, which introduced the practice of using latitude and longitude as a basis for map-making, is one of the most important works ever written on that topic, and its methods inspired the cartographers of the Renaissance. The present volume provides the only reliable English translation of the parts of Ptolemy’s work dealing directly with creating maps. It also explains the mathematics and the historical context of the Geography and is illustrated with numerous diagrams, plates and maps. J.L. Berggren, J. Borwein and P. Borwein. New York: Springer, 2004. This book provides English translations of important sources from all over the world concerning what is perhaps the most famous number known, 3.1415... expressing the ratio of the circumference of a circle to its diameter. 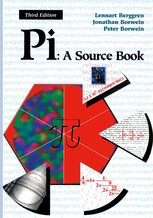 With selections from mathematical works, amusing stories and even a song this book carries the story of pi from ancient Egypt up to the present. "The Joint Journey of Mathematics and Astronomy in the Ancient World" in Mathematics and Astronomy: A Long Journey (ed. Manuel de Leon, et al.). American Institute of Physics, 2010. "Religion and the Exact Sciences in ancient Greece and Medieval Islam" in The Alexandrian Tradition: Interactions between Science, Religion and Literature. (Editors Luis Arturo Guichard, et al. ) Bern: Peter Lang, AG, 2014. "Aristarchus's On the Sizes and Distances of the Sun and the Moon: Greek and Arabic Texts" (with N. Sidoli). Arch. Hist. Exact. Sci., Vol. 61, 2007, pp. 215 - 254. "The Arabic Version of Ptolemy's Planispherium or Flattening the Surface of the Sphere: Text, translation, commentary" (with N. Sidoli). SCIAMVS, Vol. 8, Dec. 2007, pp. 37 - 140. "Tenth-Century Mathematics Through the Eyes of Abu Sahl al-Kuhi" in The Enterprise of Science in Islam: New Perspectives (ed. Jan P. Hogendijk and Abelhamid I. Sabra). Cambridge, Mass. and London: The MIT Press, 2003, pp. 177 - 196. "From Euclid to Apollonius: Al-Kuhi's Lemmas to the Conics" (jointly with Glen Van Brummelen). Zeitschrift fuer Geschichte der Arabisch-Islamischen Wissenschaften, Vol. 15, 2003, pp. 165 - 174. "Ptolemy's Maps as an Introduction to Ancient Science" in Science and Mathematics in Ancient Greek Culture. (C.J. Tuplin and T.E. Rihll, ed's). Oxford, New York, etc. : Oxford University Press (2002), pp. 36 - 55. "Some Ancient and Medieval Approximations to Irrational Numbers and Their Transmission" in From China to Paris: 2000 Years Transmission of Mathematical Ideas. (Boethius Texte Abh. Gesch. Math. Wiss). Stuttgart:Franz Steiner Verlag (2002), pp. 31 - 44. "Medieval Arithmetic: Arabic Texts and European Motivations" in Word, Image, and Number: Communication in the Middle Ages (ed. John J. Contreni and Santa Casciani). Sismel - Edizioni del Galluzzo (2002), pp. 351 - 365 + 8 pp. of plates. 'The Transmission of Greek Geometry to Medieval Islam.' Cubo Matemematica Educacional, Vol. 4, No. 2, June 2002, pp. 1 - 13. Abu Sahl al-Kuhi's "On Drawing two lines from a given point to a given line by the method of analysis." (jointly with Glen Van Brummelen) Suhayl, Vol. 2 (2001), pp. 161 - 198. Abu Sahl al-Kuhi on the Distance to the Shooting Stars (jointly with Glen Van Brummelen). Journal for the History of Astronomy xxxii (2001), 137 - 151. Abu Sahl al-Kuhi on Rising Times (jointly with Glen Van Brummelen). SCIAMVS, Vol. 2, April 2001, pp. 31 - 46. Abu Sahl al-Kuhi's On the Ratio of the Segments of a Single Line That Falls on Three Lines, (jointly with Glen Van Brummelen). Suhayl , Vol. I, 2000, pp. 1 - 56. Abu Sahl al-Kuhi on "Two Geometrical Questions." (jointly with G. Van Brummelen). Zeitschrift fuer Geschichte der Arabisch-Islamischen Wissenschaften. Vol. 13 (1999-2000), pp. 165 - 187. "Numbers at Work in Medieval Islam." Journal for the History of Arabic Science. Aleppo, Syria: Institute for the History of Arabic Science, 1998. "Mathematics and her Sisters in Medieval Islam: A Selective Review of Work Done from 1985 - 1995", Historia Mathematica, vol. 24, Dec. 1997, pp. 407-440. "Al-Kuhi's `Filling a Lacuna in Book II of Archimedes' On the Sphere and Cylinder in the Version of Nasir al-Din al-Tusi", Centaurus, 38 (1996), 140- 207. "Didactical and Other Remarks on Some Theorems of Archimedes" (jointly with A. Aaboe), Centaurus, XXI (1996), 1 - 23. "Abu Sahl Al-Kuhi's Treatise on the Construction of the Astrolabe with Proof: Text, Translation and Commentary." Physis, Vol. XXXI, Nuova Serie Fasc. 1, (1994) 142-252. "Historical Reflections of Scientific Knowlege: The Case of Medieval Islam" published in Knowledge Across Cultures, Universities East and West. Hubei Education Press & OISE Press, 139-153 (1994). Reprinted in Knowledge Across Cultures: A Contribution to Dialogue Among Civilizations (Ruth Hayhoe and Julia Pan, ed's.) by Comparative Education Research Centre: The University of Hong Kong (2001), 127 - 138. "Mathematical Astronomy in the Fourth Century B.C. as found in Euclid's Phaenomena" (with R.S.D. Thomas, Physis., Vol XXIX (1992), 7-33. "Habash's Analemma for Representing Azimuth Circles on the Astrolabe, Zeitschrift fur Geschichte der Arabisch-Islamischen Wissenschaften, (1992) 23-30. "Islamic Acquisition of Foreign Sciences: A Cultural Perspective" Amer.J. of Isl. Soc. Sci. 9, 3 (Fall, 1992), 310-324. Reprinted, with minor changes, in Tradition, Transmission, Transformation: Proceedings of Two Conferences on Pre-modern Science held at the University of Oklahoma (F. J. Ragep and S.P. Ragep, ed's.) Leiden: E.J. Brill, 1996, pp. 263-283. "Ptolemy's Maps of Earth and the Heavens: A New Interpretation", Archive for History of Exact Sciences, Vol. 43, 2, 1991, pp. 133-144. "The Relation of Greek Spherics to Early Greek Astronomy" in Science and Philosophy in Ancient Greece (ed. Alan C. Bowen), Garland Publishing, 1991, 227-248. "Greek and Islamic Elements in Arabic Mathematics" in a special number of Apeiron ("Peri ta mathemata", ed. Ian Mueller) 24, No. 4 (1991), 701-23. "Medieval Islamic Methods for Drawing Azimuth Circles on the Astrolabe", Centaurus, (1991) Vol. 34: 309-344. "Geometric Methods in Medieval Islam: The Case of the Azimuth Circles", Proceedings of the Second Maghrib Colloq. for History of Arabic Mathematics, Algeria (1991). "Innovation and Tradition in Sharaf-al-Din al-Tusi's Al-Mucadalat", Journal of the American Oriental Society, 110, 2, 1990, 304-309. "Proof and Pedagogy in Medieval Islamic Mathematics". Interchange (A special issue titled Creativity, Thought and Mathematical Proof (Gila Hanna and Ian Winchester, eds.) 21, 1, Spring 1990, 36-48. "A study of the spherical trigonometry in Kushyar ibn Labban's al-Zij al-Jami", in From Deferent to Equant (ed. D. King and G. Saliba). New York Acad. of Sciences, 1987, 15-34. "Mathematical Methods in Ancient Science: Spherics" in History in Mathematics Education, ed. Ivor Grattan-Guinness, Belin, Paris 1987, pp. 14-32. "Mathematical Methods in Ancient Science: Astronomy" in History in Mathematics Education, ed. Ivor Grattan-Guinness, Belin, Paris 1987, pp. 33-49. "Archimedes Among the Ottomans" in From Ancient Omens to Statistical Mechanics. Munksgaard, Copenhagen, 1987, pp. 101-109. 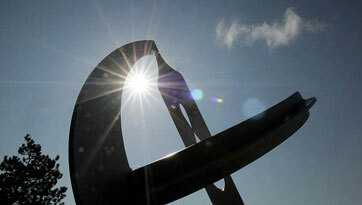 "The Origin of al-Biruni's Method of the Zijes in the Theory of Sundials". Centaurus XXVIII, Vol. 28, (1985) 1 -16. "History of Mathematics in the Islamic World: The Present State of the Art". Bull. Middle East Studies Assoc., Vol. 19, No. 1, (1985) 9-33. "Greek Mathematics: An annotated Bibliography", as a chapter in History of Mathematics from Antiquity to the Present: A Selective Bibliography (ed. J.W. Dauben). Garfield: U.S.A. (1984), pp. 25-64. "History of Greek Mathematics: A Survey of Recent Research", Historia Mathematica, Vol. 11 (1984) 394-410. "Episodes from the History of Arabic Mathematics: Spherics", Vector, Vol. 24, No. 2, 26-34 (1983). "The Correspondence of Abu Sahl al-Kuhi and Abu Ishaq al-Sabi: A translation with commentaries". Journal for History of Arabic Science, Vol. 7, Nos. 1 & 2 (1983) 39-123. "Al-Biruni on Plane Maps of the Sphere", J. for History of Arabic Science, Vol. 6, 47-96 (1982). "Al-Sijzi on the Transversal Figure", J. for History of Arabic Science, Vol. 5, Nos. 1 and 2, 23-36 (1981). "An Anonymous Treatise on the Regular Nonagon", J. for History of Arabic Science, Vol. V, Nos. 1 and 2, 37-41 (1981). "On al-Biruni's 'Method of the Zijes' for the Qibla," Proceedings of the XVth International Congress of the History of Science, Bucharest, Romania 237-245 (1981). "Medieval Analemmas for Determining the Qibla", J. for History of Arabic Science, IV, 69-80 (1980). "The Barycentric Theorems of Abu Sahl al-Kuhi," Proceedings of Second International Symposium for History of Arabic Science, Aleppo, April 1979. "A coincidence of Pappos' Book VIII with al-Biruni's Tahdid", J. for History of Arabic Science, Vol. II, No. 1, 137-142 (May 1978). "A Lacuna in Archimedes' Sphere and Cylinder Book I, Historia Mathematica, 4, 1-5 (1977). "Spurious Theorems in Archimedes' Equilibrium of Planes Book I", Archive for History of Exact Sciences, Vol. 16, 2, 87-103 (1976). "Some lessons for teachers from the history of Mathematics," Vector, 11-21 (1974). Polygons and Puzzles. Connecticut Mathematics Journal, Vol. 6, no. 2, 3-7 (May 1974). "On the determination of the maximum order of the group of a tournament" (with B. R. Alspach). Can. Math. Bull., Vol. 16, no. 1, 11-14 (1973). "An algebraic characterization of finite symmetric tournaments", Bull. Australian Math. Soc., Vol. 6, 53-59 (1972. "An algebraic characterization of symmetric graphs with a prime number of vertices", Bull. Australian Math. Soc., Vol. 7, no. 1, 131-134 (1972). "Some remarks on Napier's conception of logarithms", Vector (Journal of the B.C. Mathematics Teachers), Vol. 14, no. 1, 12-14 (1972). "Solvable and supersolvable groups in which every element is conjugate to its inverse", Pac. J. Math., Vol. 37, no. 1, 21-28 (1971). "Finite groups in which every element is conjugate to its inverse", Pac. J. Math., Vol. 28, no. 2, 289-293 (1969). "Intervening opportunities and national park visitation rates", ( with W. Catton) Pac. Soc. Review, Vol. 7, no. 2, 66-73 (1964). J. L. Berggren and Jan P. Hogendijk, "The Fragments of Abu Sahl al-Kuhi's Lost Geometrical Works in the Writings of al-Sijzi" in Studies in the History of the Exact Sciences in Honour of David Pingree (C. Burnett, Jan P. Hogendijk, Kim Plofker and Michio Yano, ed's). Leiden-Boston: Brill (2004), pp. 609 - 665. 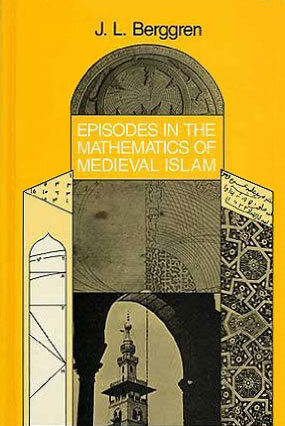 Essay on "Islamic Mathematics" in Supplement to the Dictionary of the Middle Ages (Sponsored by the American Council of Learned Societies and published in 2004 by Charles Scribner's Sons. "Le sfere celesti e le origini della trigonometria" in Storia della scienza, editor-in-chief Sandro Petruccioli, Roma, Istituto della Encicplopedia Italiana, v. I, 2001, pages 840 - 848. Article "The Mathematical Sciences" in History of Civilizations of Central Asia Vol. 4 (The Age of Achievement: A.D. 750 to the End of the Fifteenth Century), Part Two (The Achievements) (ed. C.E. Bosworth and the late M.S. Asimov.) Paris: UNESCO, pp. 182 - 193. "Scholarly work of E.S. Kennedy" in From Deferent to Equant: Essays in the History of Science in the Ancient and Medieval Near East in Honor of E.S. Kennedy pp. xxv - xxix, (ed. D. King and G. Saliba) New York Academy of Sciences (1987). "Life and Work of Asger Aaboe" in From Ancient Omens to Statistical Mechanics, pp. xi-xv, Munksgaard, Copenhagen (1987). "Mathematics in Medieval Islam", Hikmat, Vol. II, No. 5 (Mar. 1985) pp. 12-16. "Nine Sages of Medieval Islam", Hikmat, Vol. I, No. 9 (Oct. 1979), pp. 13-16, p. 35.
Review of Mathematics in Civilization by Resnikoff, H. and R. Wells, Jr. in Historia Mathematica, Vol. 1, no. 1, 1974, pp. 102-106.
Review of Diocles On Burning Mirrors (Arabic Text with English Translation), by G.J. Toomer, in Historia Mathematica, Vol. 4, No. 3, 1977, pp. 360-363.
Review of 'The Astrolabe Kit' in Technology and Culture, 151-153, (January 1977). Review of Ivo Schneider's Archimedes, in Isis, Vol. 72, No. 4, 1981, 674-675.
Review of B.L. Van der Waerden, Geometry and Algebra in Ancient Civilizations. New York/Berlin: Springer, 1983, in Ancient Philosophy, 5, 305-307.
Review of E.S. Kennedy et al, Studies in the Islamic Exact Sciences. Beirut, Lebanon: AUB Press, 1983 in J. for Archaeoastronomy. Review of J. Sesiano, Books IV to VII of Diophantus Arithmetica in the Arabic Translation Attributed to Qusta ibn Luqa, in Centaurus, 1983.
Review of A. Allard, Maxime Planude: Le grand calcul selon les Indiens in Isis, vol. 74, No. 271, 126-127 (1983). Review of A. Djebbar, Enseignment et Recherche Mathematiques dans le Maghreb des XIIIe - XIVe Siecles in Isis, vol. 74, no. 273, Sept. 1983.
Review of A.D. Naini, Geschichte der Zahlentheorie im Orient, in Isis, Vol. 75, No. 278, 611-612 (1984). Review of R. Rashed and A. Djebbar, L'Oeuvre Algebrique d' al-Khayyam, in Math. Reviews, 84a: 01008.
Review of Helmuth Gericke, Mathematik in Antike und Orient, in Isis, 76:4:284 (1985). Review of Anton M. Heinen, Islamic Cosmology: A Study of al-Suyuti's "ilm al-hay'a as-saniya fi l-hay'a al-sunniya". MESA Bulletin, 19, 1985, 248-249.
Review of Al-'ulum 'ind al-muslimin, by Kuwait Foundation for the Advancement of Sciences, MESA Bulletin, 19, 1985, 266-267.
Review of Pierre Souffrin, Trois Etudes sur L'oeuvre d'Archimede, in Ganita Bharati, Vol. 7, Nos. 1-4 (1985), pp. 41-43.
Review of J.P. Hogendijk, Ibn al-Haytham's Completion of the Conics in Isis, 77:2:287 (1986), 365-367.
Review of R. Rashed, Diophante: Les Arithmetiques (Vols. III and V). Paris: Les Belles Lettres, 1984, in Historia Mathematica, Vol.14 (1987), 386-389.
Review of Roshdi Rashed, Entre arithmetique et algebra: Recherches sur l'histoire des mathematiques arabes in Middle East Journal 41 (2) 1987.
Review of O. Neugebauer's Astronomy and History: Selected Essays in Ancient Philosophy 6, 202-204 (1987). Review of Mathematics and Its Applications to Science and Natural Philosophy in the Middle Ages (E. Grant and J.E. Murdoch, eds. ), Cambridge U. Press 1987 in Journal of Interdisciplinary History, Vol. 20, No. 1 (Summer, 1989), pp. 132 - 135.
Review of G. Toomer, The Arabic text of Apollonius's Conics Books V - VII: The Arabic Translation of the Lost Greek Original in the version of the Banu Musa, in Mathematical Reviews (1992), Review No. 92e:01017.
Review of W.R. Knorr, Textual Studies in Ancient and Medieval Geometry in Ancient Philosophy, Vol. XII No.2, 1992, pp.522-528. Review of J. B. Harley and David Woodward, editors. The History of Cartography. Vol. 2, Book 1, Cartography in the Traditional Islamic and South Asian Societies. Assisted by Joseph E. Schwartzberg et al. Chicago: University of Chicago Press. 1992. p xxiv, 579; 395 plates, in American Historical Review, October 1994, pp. 1286-87. Essay review of The Optics of Ibn al-Haytham: Books I-III On Direct Vision. (Parts I and II: Translated with Introduction and Commentary by A. I. Sabra.) in Physis xxxii N.S. Fasc. 1(1995), 143-153.
Review of W. S. Anglin. Mathematics: A Concise History and Philosophy in Philosophia Mathematica (Series III) 4(1996) No. 2, pp. 196-198.
Review of Geometrical Landscapes: The Voyages of Discovery etc., by A. R. Alexander, in Science and Public Policy. Volume 32, No. 2, 2005, pp. 167 - 168.
Review of The Archimedes Codex, by R. Netz and W. Noel, in Notices of the Amer. Math. Soc. Volume 55, No. 8, 2008, pp. 943 - 947.
Review of Hypatia of Alexandria: Mathematician and Martyr, by Michael B. Deakin, in Metascience: Volume 18, Issue1, 2009. Article “Munajjim, Banū” in Encyclopaedia of Islam, Third Edition, Leiden, E.J. Brill, 2017. Article “Ibn 'Irāḳ, Abū Naṣr,” Encyclopaedia of Islam. Leiden, E.J. Brill, 2017. Article “Arabic Mathematics” in Encyclopaedia Britannica, (Macropaedia), 1986. Articles “Abū Sahl al-Qūhī”, “Ibrahīm ibn Sinān” and “Sharaf al-Dīn al-Ṭusī” in New Dictionary of Scientific Biography, (Noretta Koertge, editor) Detroit: Charles Scribner's Sons, 2008. Articles “Ibn ‘Irāq,” “Abū Sahl al-Kūhī,” “Abū Sa‘d al-‘Alā ibn Sahl” and “Abū al-‘Abbās Abdullāh al-Ma'mūn” in Biographical Encyclopedia of Astronomers, (ed. Thomas Hockey, et al.) Springer, 2007. I am engaged in ongoing research centered on the translation and study of ancient Greek and medieval Arabic mathematical texts dealing with geometry, mathematical geography and astronomy. This includes studies of the mathematical ideas in these texts and their historical, scientific and social contexts. Some of these researches will be presented in the paper “Al-Bīrīnī’s Mappings of the Heavens and the Earth” which I will present at the International Congress for the History of Science and Technology” in Rio de Janeiro in July 2017. “Nasir al-Din al-Tusi as Editor of Greek Mathematics” at “The Conference on the Scientific and Philosophical Heritage of Nasir al-Din al-Tusi.” The conference was held on the 23 – 24 Feb., 2011 in the Written Heritage Research Center (Miras-e Maktoob) at the National Library of Iran in Tehran. “The Arabic text of al-Kashi’s Miftaḥ al-ḥisāb (The Reckoner’s Key). Presented in a workshop “Graeco-Arabic Rationalism in Islamic Traditionalism” held at Washington University in St. Louis from April 27 - 29, 2012. Four lectures at a summer school for students working on a Masters Degree in Mathematics Teaching. Topic was “Themes in Greek Mathematics and their Consequences”. Athens, Greece 2015. The following articles were published in The Compendium, which is the official publication of the North American Sundial Society. "Sundials in Geminos's Introduction to the Phenomena", a lecture delivered at the 2006 meetings of the North American Sundial Society (NASS). "The Torquetum and the Heliodon," delivered at NASS's 2011 meeting in Seattle, WA. 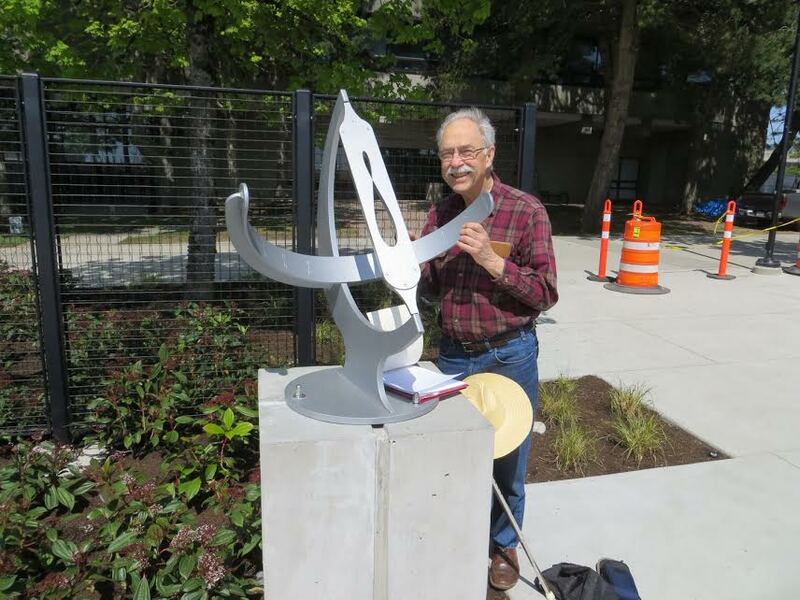 "Simon Fraser University's Sundial: A sundial that tells both local sun time and clock time," delivered at NASS's 2015 meeting in Victoria, B.C..
Dr. Berggren demonstrating how to read time using the analemmatical sundial at SFU. 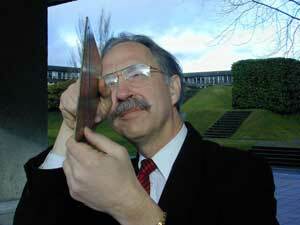 Dr. Berggren with equatorial sundial in front of the Trottier Family Observatory at SFU. 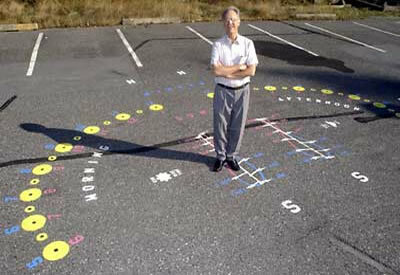 An analemmatical sundial - the first [split analemmatical dial] in Canada – can now be found at the northeastern end of "C" parking lot, painted on the pavement. An ancient form of telling time, the first analemmatical sundial appeared in France in the early 17th century at the church of Brou. SFU’s sundial features two analemmas (the large figure eight’s painted on the pavement). The analemma on the west is used for morning hours, the other for afternoon hours. To tell clock time select the appropriate analemma for morning or afternoon and find the date position on its curved boundary. The first of each month is shown as a white dot; thus Sept. 15 is half way between Sept. 1 and Oct. 1. The hours are shown on the dial beside the large yellow circles, labelled in blue for Pacific standard time and red for Pacific daylight savings (PST) time – one hour later of PST. Someone telling time on a sunny day must face away from the sun on the coloured analemma with the date centered between their feet. The approximate mean time will be shown by the person’s shadow on the dial. Commanded by the Qur’an to seek knowledge and examine nature for signs of the Creator, the Islamic world was synonymous with learning and science for five-hundred years. In the twenty-first century, the relationship between science and religion generates much debate among Muslims. Chris Tenove asks if there is there a contradiction between Islam and modern science. A groundbreaking treatise on cartography that's been Greek to many map buffs for centuries is now making sense, thanks to two scholars' knowledge of the ancient language and ancient mathematics. 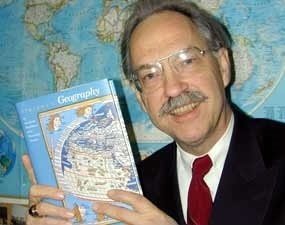 Len Berggren, the chair of Simon Fraser University's mathematics department, and Alexander Jones, a University of Toronto classicist, are the authors of the first complete and reliable English translation of Ptolemy's Geography. "Up until now most of the book, which is Ptolemy's exposition of the principles of map making, has only been available in Greek, Latin and Arabic," explains Berggren, who reads Greek and Arabic. Originally written in Greek by the Alexandrian astronomer and geographer Claudius Ptolemy in the second century A.D., Ptolemy's Geography is the only surviving work on cartography from classical antiquity. After its translation into Latin around 1410 A.D., the book became a cartographer's bible. For the next two centuries, cartographers and explorers regarded it as the best source of map-making techniques and depictions of the world's geography, including its curvature. Berggren, a historian of ancient mathematics, says the English translation, which took him and Jones 15 years to complete, will help popularize Ptolemy's farsightedness. "Ptolemy's Geography introduced the use of longitudinal and latitudinal coordinates to map the world," says Berggren. "His technique enabled map makers to make their own maps using only the text of the Geography. For 15 centuries, Ptolemy's Geography represented the most thorough discussion of the importance of relying on astronomical observation and applied mathematics to determine location," says Berggren. However, Ptolemy's cartography had its flaws. Berggren and Jones point out several in their in-depth analysis of the geographer's work. "When Christopher Columbus landed on the shores of the Americas in 1492 he mistook them for the shores of Asia because he had relied on Ptolemy's book, which seriously shortened the distance between Europe and Asia," notes Berggren. He and Jones illustrate Ptolemy's view of the world by comparing colour reproductions of the geographer's original maps to present day maps. The two also trace the evolution of Ptolemy's maps in the hands of latter day mapmakers. Two SFU professors are being honoured for their part in making SFU a better known institution. Lindsay Meredith, associate dean of business and Len Berggren, chair of mathematics and statistics are the recipients of the annual President's award for service in media and public relations. Like Meredith, Berggren is no stranger to an audience, whether the crowd is a group of stroke recovery patients or a mensa gathering. For the past three decades he's been one of the most available speakers involved with SFU's speakers' bureau and has given more than 70 talks. An expert on the history of mathematical sciences in ancient Greece and medieval Islam, he has developed a wide range of interests – from time measurement to the politics of Cyprus – as well as a commitment to sharing them. "The speakers' bureau is a great opportunity for the university and for those of us who are passionate about our work," says Berggren (right), who is also a regular in local schools, where he addresses student and teacher groups. Finding time to prepare and deliver talks isn't always easy. Berggren says it's a matter of commitment. "You have to decide it's a priority," he says. "It's one way a university researcher can help the community. It's public education of your work." Berggren maps out his thoughts in advance. "I wish I could speak more off the cuff, but I need to be well-prepared," he admits. "I'm always redoing my talks because they reflect my research interests, and those are always developing." Berggren has also had his share of the spotlight. Called on to demystify concepts like leap year and the start of the true millennium, he faces the task of explaining difficult concepts in short time frames. "I'm still a bit nervous," he concedes. "It's hard to choose what honestly reflects what you know without unnecessary complexity. It's something you learn as you do it." Besides appearing on local radio and in print, Berggren's international media exposure includes the BBC in Scotland and the New York Times. "I think journalists are appreciative of our expertise," says Berggren. "They are simply trying to tell a story. If we can make it a better one then everybody wins." From January 1999 to February 2001, reviewing the Encyclopaedia Britannica's entire mathematics data base. My duties were to recommend necessary revisions as well as suitable specialists to write the revised articles. I often worked intensively with the writers in planning or revising their pieces. I also wrote a number of the shorter pieces myself. I have done some consulting and writing for McGraw-Hill Science. From 2006 until I resigned in 2016 I was a member of the Standing Academic Standards Committee of Alexander College, a private college located in downtown Vancouver and Metrotown. The committee met three times per year and I was responsible for maintaining academic standards in the selection and monitoring of Mathematics Instructors, the curriculum of mathematics courses, vetting exams in these courses, and advising the senior administration on possible directions for development of the mathematics offerings. If you would like to consult with me about the design and construction of a dial for your home, garden, or other location, please see the Contact section of this site. My research centers around reading and translating ancient Greek and medieval Arabic mathematical texts dealing with geometry, mathematical cartography and astronomy, as well as studies of the mathematical ideas in these texts and their historical development. I have also taught and done research in how the mathematical sciences have affected, and been affected by, human values and cultures including moral, religious and cognitive values.